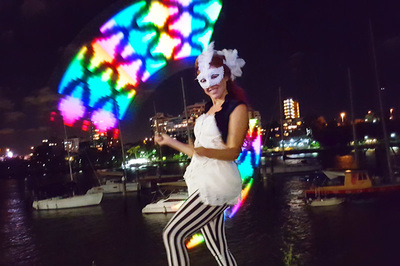 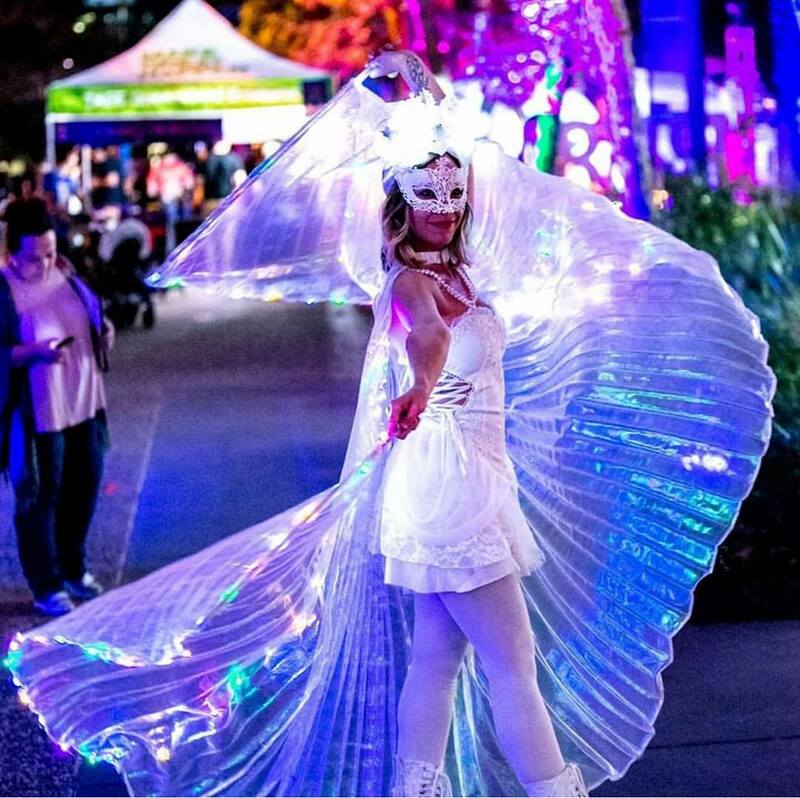 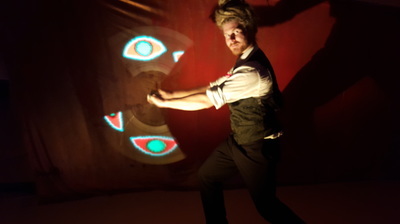 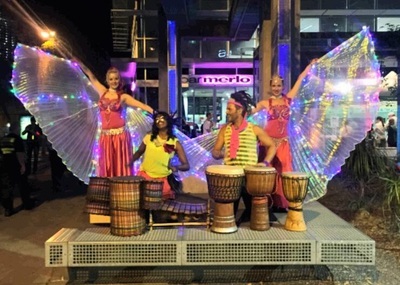 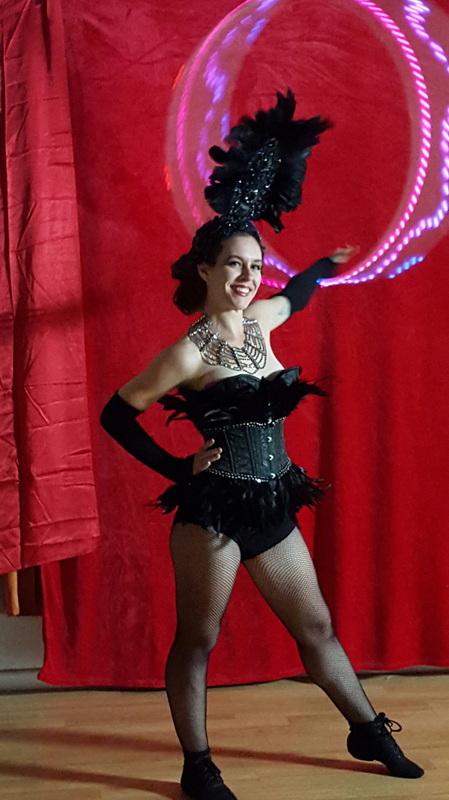 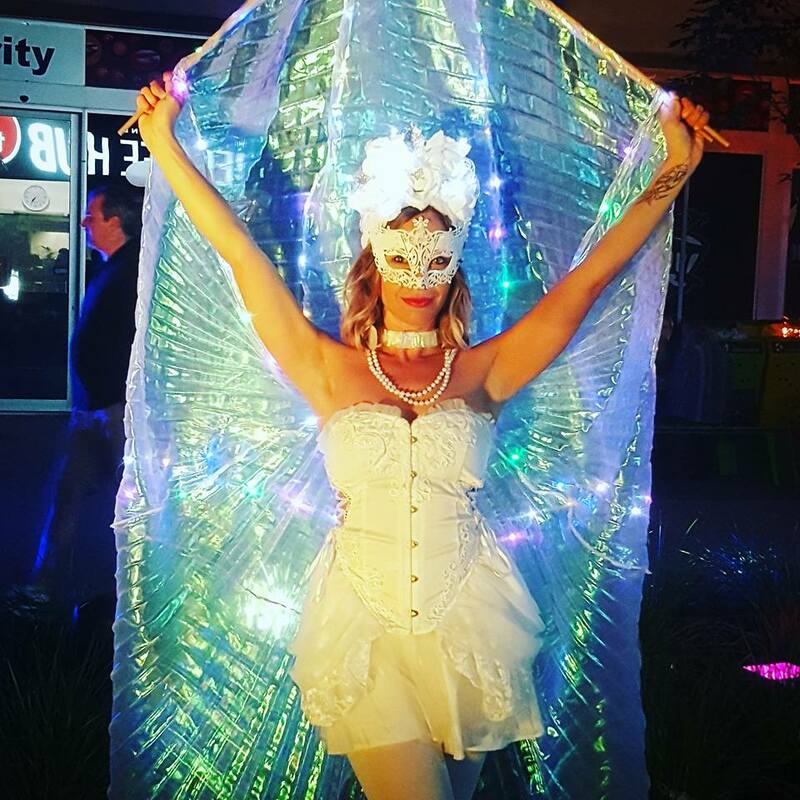 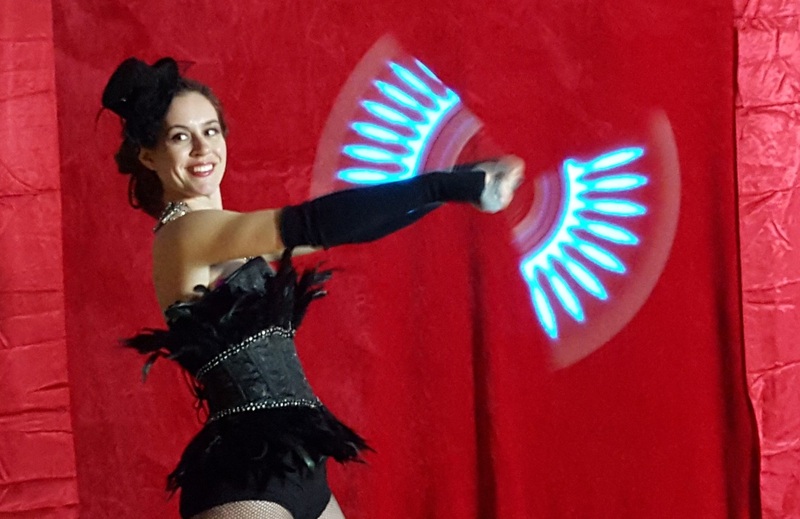 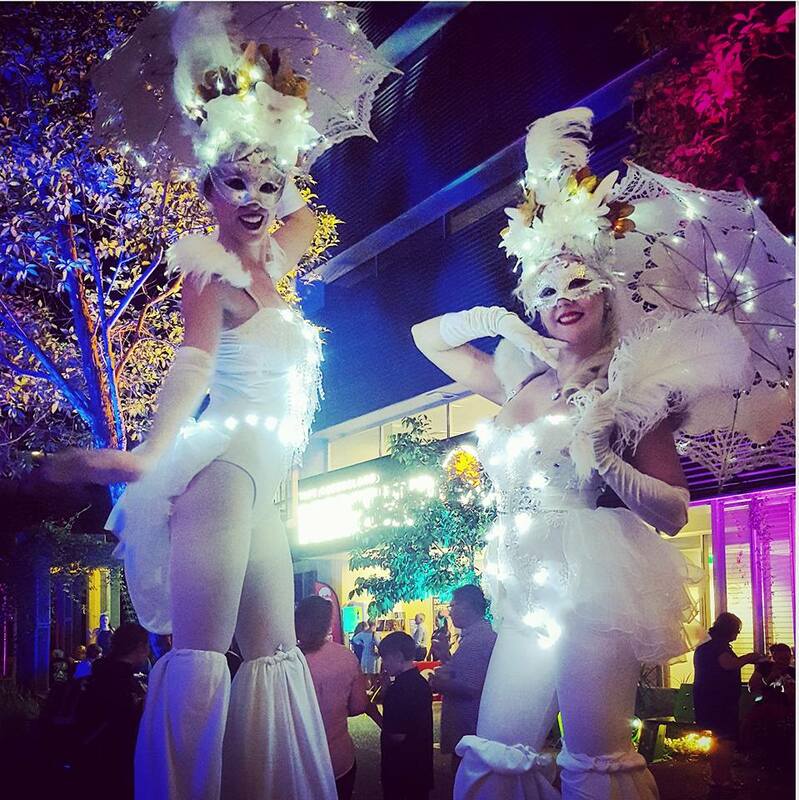 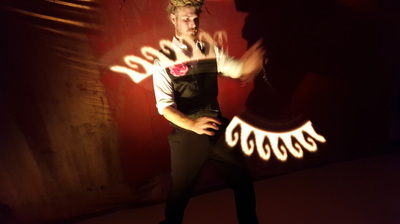 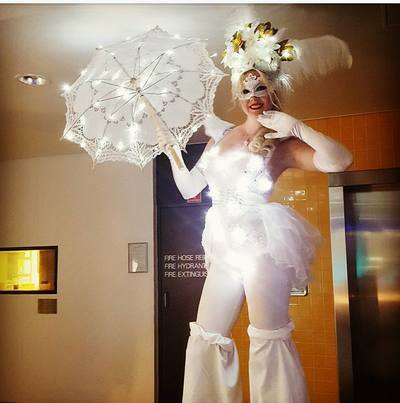 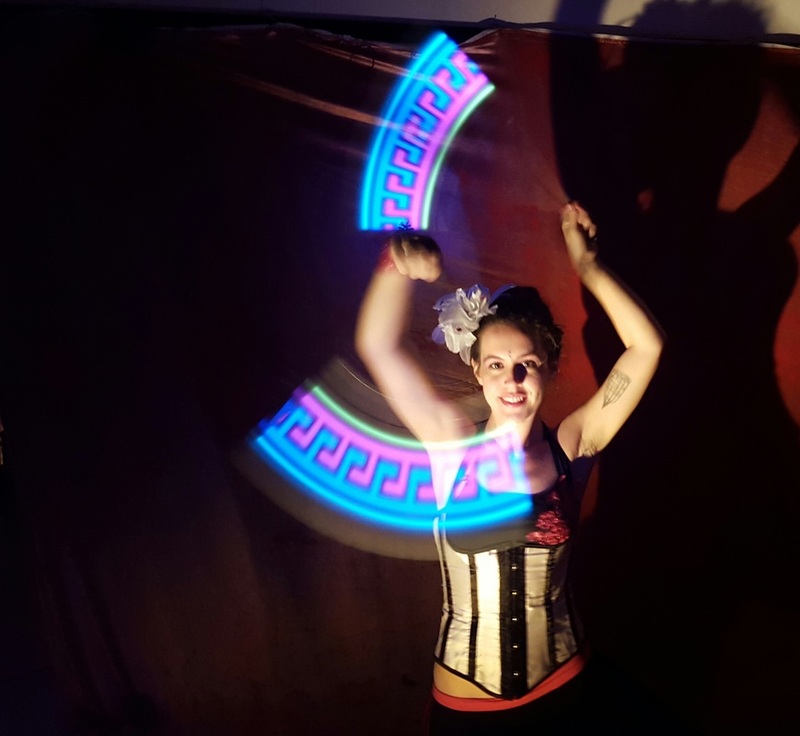 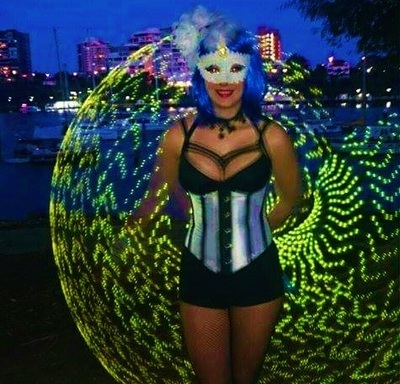 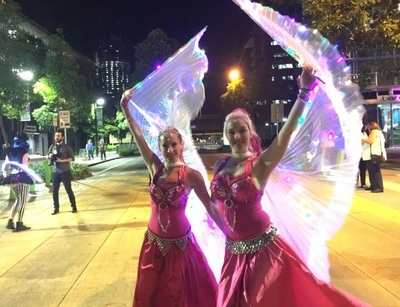 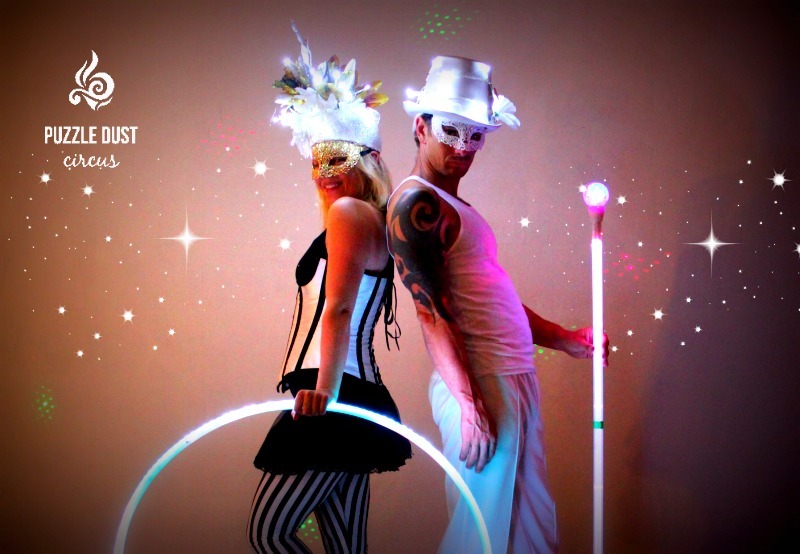 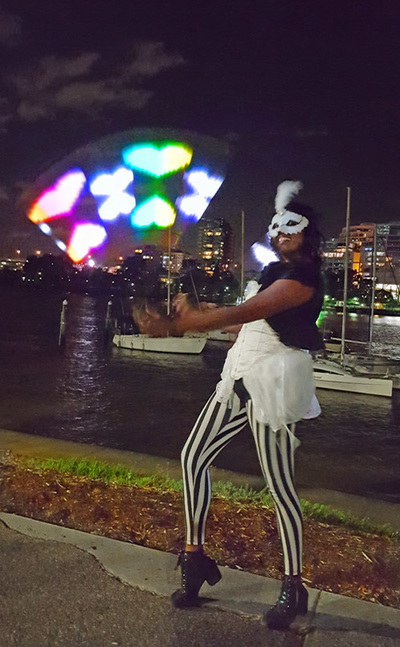 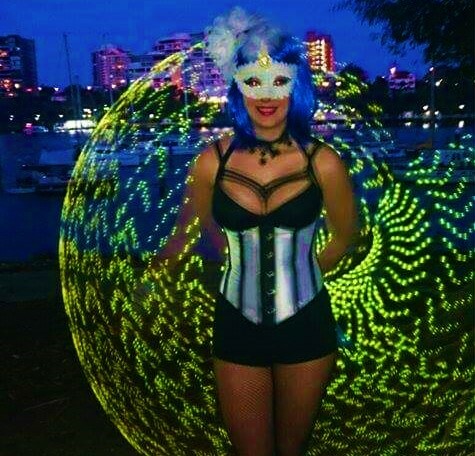 Choose from our spectacular Light Up LED glow show, or our themed roving glow performers to give your event some serious 'wow' factor. 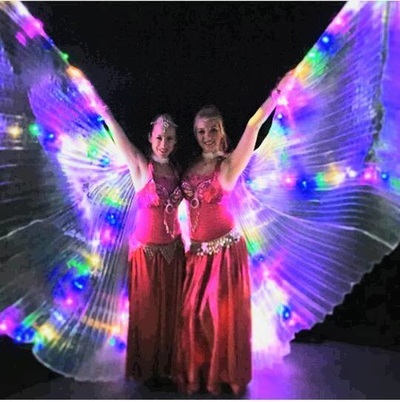 Spectacular light show entertainment for your event, nightclub, party or festival! 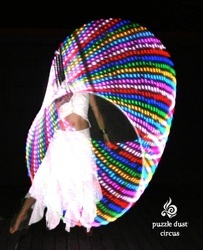 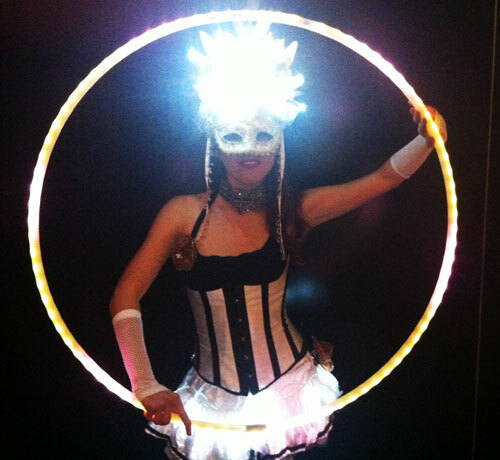 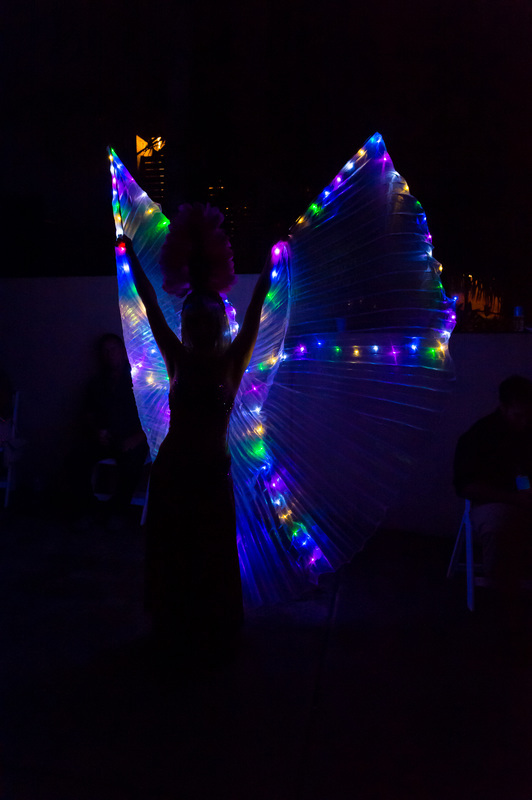 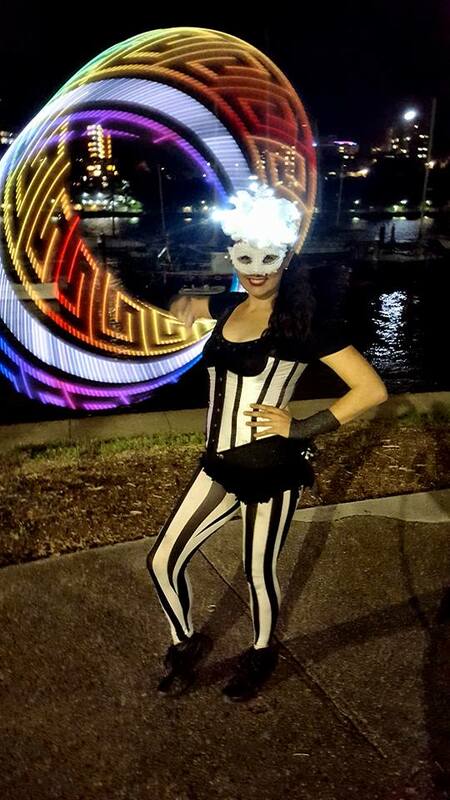 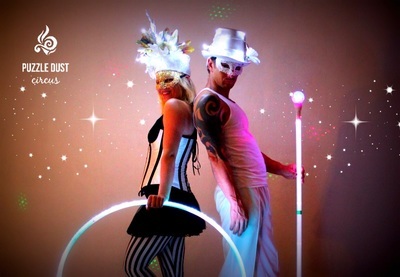 Including LED and UV hula hoops, poi, fans, isis wings and flags, neon drummers plus light up headpieces and costuming. 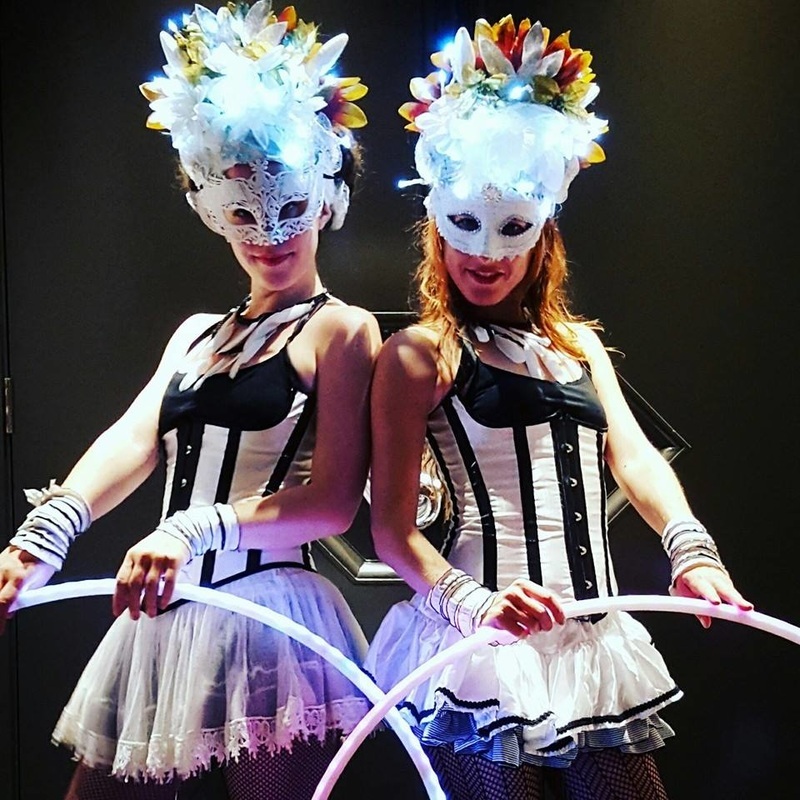 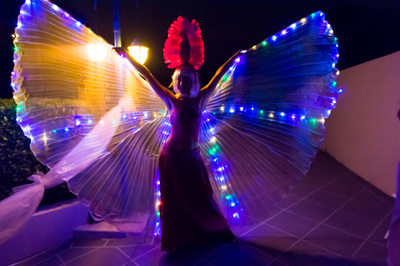 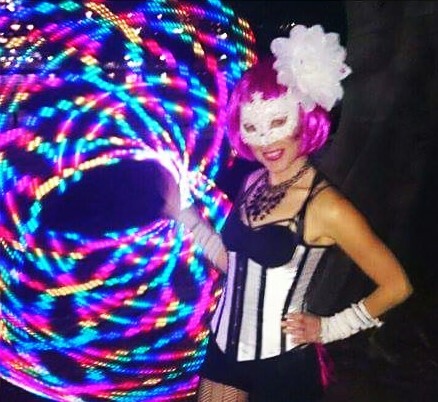 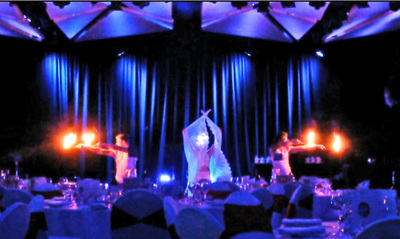 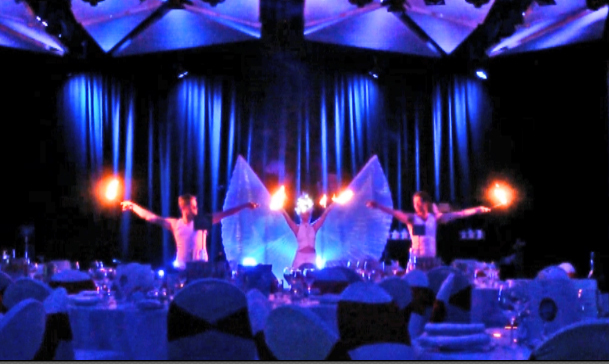 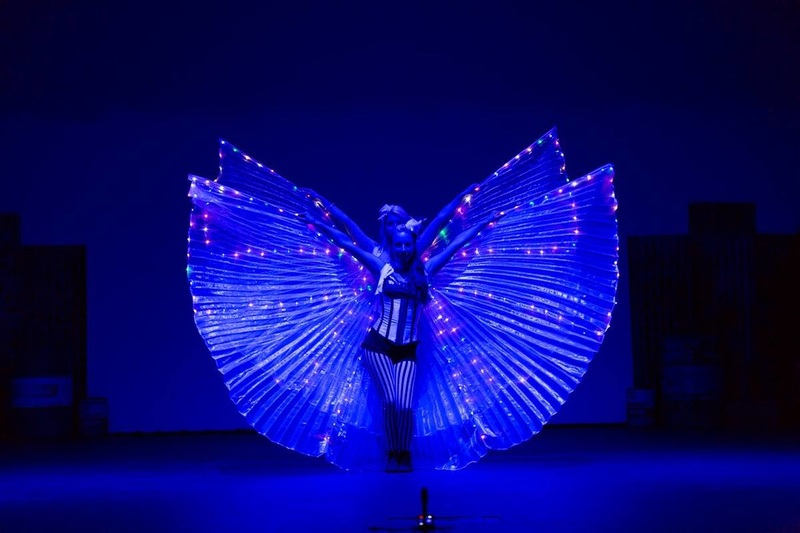 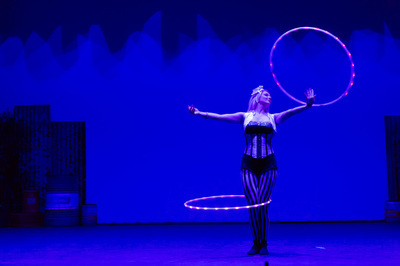 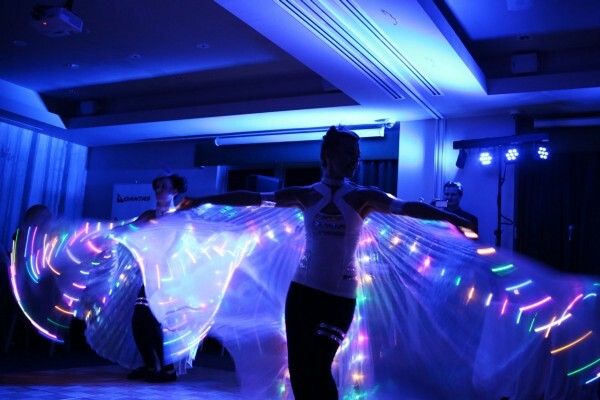 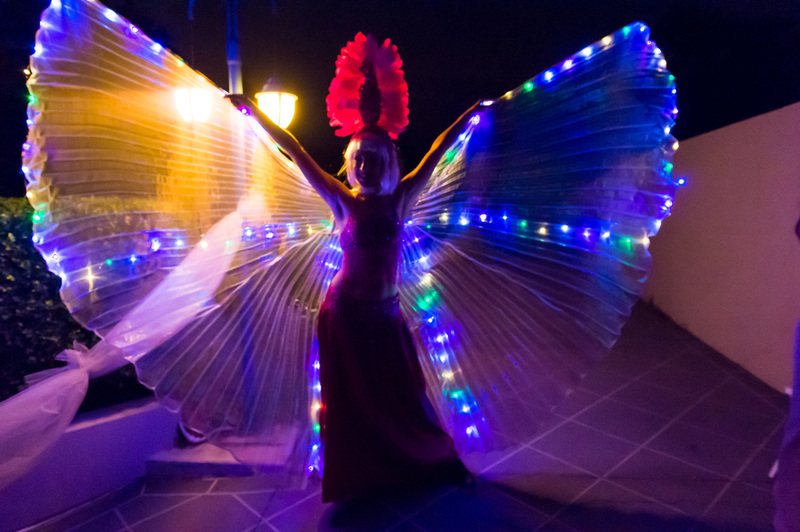 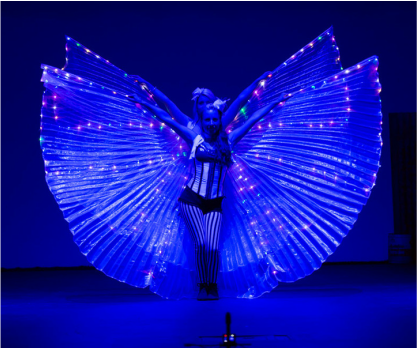 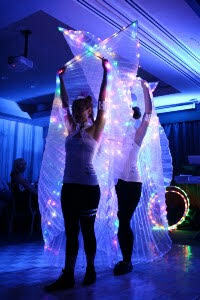 Our glow dancers use LED equipment with incredible technical effects that will amaze your guests. 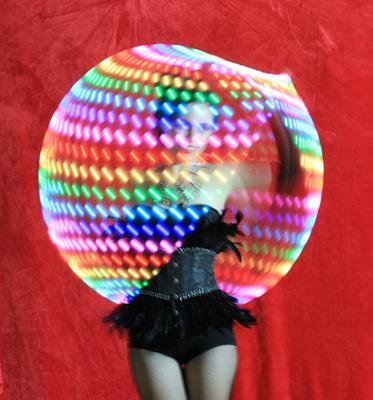 Book as roving entertainment, meet and greet, feature stage act or podium dancers - 1 to 3 performers!